Turbine paint sprayers are devices that use a turbine unit in propelling the air required by the painting process. 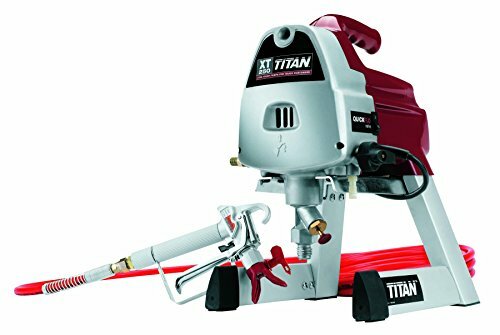 It comes with a motor which eliminates the requirement of having an air line run to the compressor. The turbine sprayers are used in painting specialized items like automotive parts, bikes, and metallic appliances. They have been manufactured in a special way that reduces paint consumption placing them economically ahead of the air-compression units. Several companies are making these units with most models looking quite similar to each other. The unit usually has two parts, the compressor, and the sprayer. The two parts are connected using a rubber hose. The role of the compressor in this unit is to bring in the air required by the sprayer. The sprayer is then connected to a paint can. Under low-pressure conditions, the paint is forced to get out through the nozzle. This allows you to get an even coverage for the chosen surface. Choosing the best turbine sprayer on the market may not be an easy task but below you can read about the top-rated units for sale today and find out if your paint sprayer needs an air compressor. The product is very versatile considering the fact that it can be used to spray furniture, cabinets, dressers among other things. The advantage of the simple design is that this sprayer doesn’t have many parts so that it is extremely easy to dissemble and clean quickly. The product features a detail finish nozzle which ensures that the painting has a smooth finish no matter the object being sprayed. 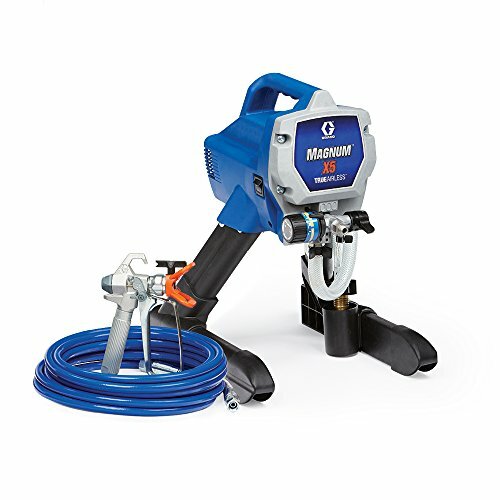 The paint sprayer comes with a 600cc reservoir which can contain enough paint for bigger commercial projects. The innovative fan control knob help saving time with the paint sprayer and is more precise than other nozzle systems on the market. 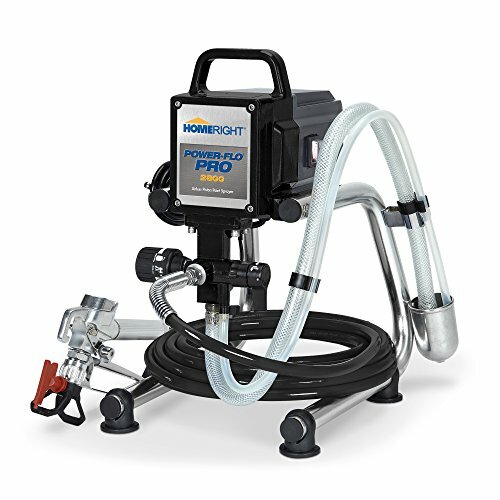 The Finish Max C800766 is a game changing product in the family of HomeRight paint sprayers to buy. 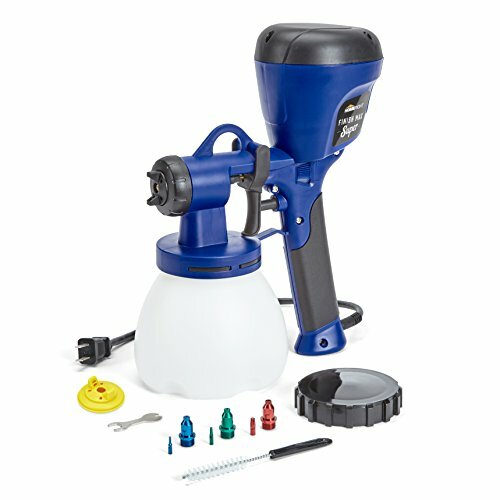 It is an affordable paint sprayer that is lightweight and easy to use. 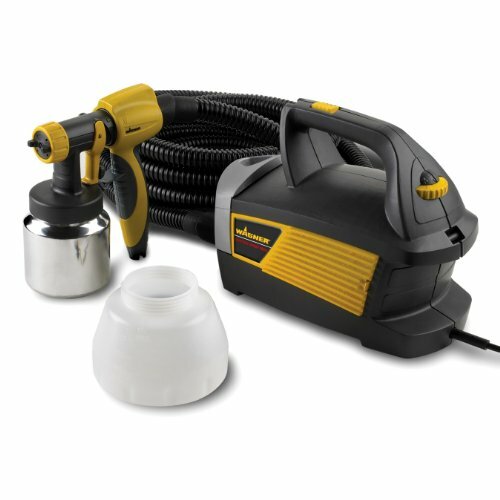 It comes with a 400W motor which allows it to spray paint under high pressure. Moreover, it comes with an adjustable nozzle made of brass. Its adjustable nozzle allows you to use multiple spray patterns. Moreover, it comes with a flow control knob that allows you to effortlessly control the way volume of paint is dispensed. The more you pull the flow control knob, the higher pressure you get. The product is very versatile considering the fact that it can be used to spray furniture, cabinets, dressers among other things. It also comes with a nozzle blower, viscosity cup and a cleaning brush. Furthermore, the paint sprayer is optimized to provide a fine paint finish and leaves no paint marks. One of the benefits of this paint sprayer is that it is handy and versatile. Moreover, its adjustable spray patterns ensure that it can be used for a variety of painting projects. To cap it all, it is a great paint sprayer under 100 bucks comes with a 2-year warranty which guarantees value for your buck. 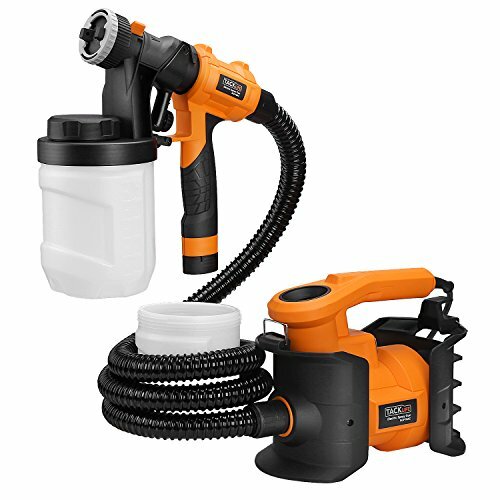 The next sprayer is a multi-purpose paint gun that has an adjustable spray control feature and it can be considered the best wagner paint sprayer due to its innovative mechanism. The product offers three spray patterns, has a variable flow control, mechanism and a variable air pressure. The product can also support a 20ft hose which provides extra space for painting. Moreover, it comes with a powerful motor which guarantees top-rated performance. Additionally, it comes with a professional grade metal cup and a large 1 1/2-quart plastic cup which allows you to paint for a long period of time before having to refill. With the variable air pressure control mechanism, you will be able to choose between thick or thin spraying. Moreover, it eliminates over spraying. The advantage of the simple design is that this sprayer doesn’t have many parts so that it is extremely easy to dissemble and clean quickly. More interestingly the powerful turbine included makes the job done hassle free for wall painting if you know how to do spray on exterior walls. 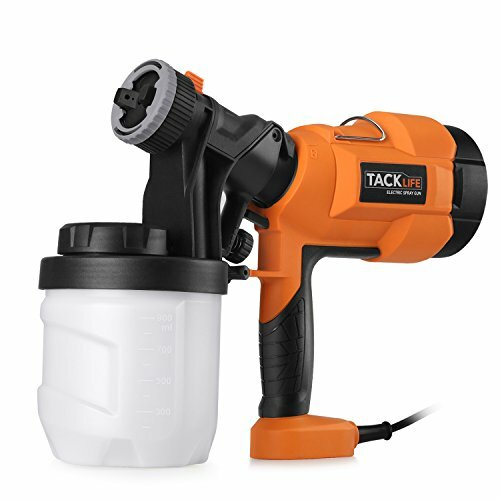 Moreover, it is optimized to be used for a variety of painting projects, Furthermore, it comes with an ergonomic trigger which gives the user total spray control. The product also comes with a detailed user manual which contains easy to understand instructions. Overall, this is a quality paint sprayer that comes with an industry leading one-year warranty that ensures risk-free investment. This Wagner Moto-Coat paint sprayer is a highly versatile handheld paint sprayer that comes with an iSpray nozzle along with a cup attachment that is designed to soften thicker coatings and create a fine and textured paint finish. This makes it the ideal paint sprayer for painting uneven surfaces. Additionally, it comes with a X-Boost turbine which enables great atomization of paint and also improves performance and flow. Moreover, it comes with a 39ft highly flexible hose which provides extra space for effective spray painting. The product features a detail finish nozzle which ensures that the painting has a smooth finish no matter the object being sprayed. Moreover, the spray attachments are easy to separate from the gun for an easy clean up. Furthermore, the product could be the perfect car paint sprayer for garage having an adjustable spray pattern feature which ensures that it can be used for a variety of painting projects. It is also worthy of note that the product is lightweight and portable which makes it easy to transport from one location to another. This Fuji Mini-Mite 4 is a highly specialized paint sprayer that comes with a 4-stage motor turbine which guarantees an excellent performance. The product also features the demanding HVLP sprayer gun system which makes it the ideal choice of paint sprayer for large scale commercial projects. It also features a pattern control knob which makes it easy to control spray pattern. Additionally, it comes with a 25ft hose which provides extra space for painting. 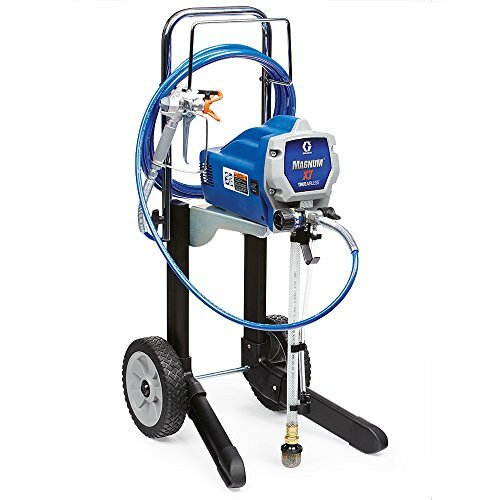 The paint sprayer comes with a 600cc reservoir which can contain enough paint for bigger commercial projects. Moreover, the product is easy to clean and maintain. All it takes to clean it is to rinse the interior by running clean water through the hose. Furthermore, its parts are easy to remove so that it can be cleaned separately. In addition to this, its metal casing ensures that it is durable and can withstand the pressure of large scale commercial projects. And, it is an overall professional paint sprayer to buy which comes with a 2-year warranty guaranteeing that a buyer receives value for money spent. The Fuji 2202 Semi-Pro 2 HVLP Spray System is equipped with a 2-stage turbine motor and a HVLP Spray System. 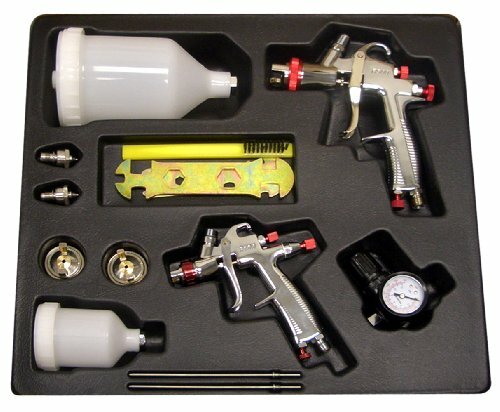 Additionally, it comes with a M.Model Spray Gun which has several amazing features. This is a favorable choice of paint sprayer for less than USD 700 which enables the user to alter spray patterns from small to wide. 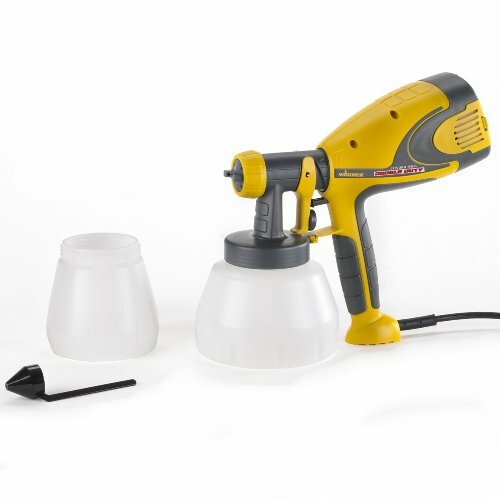 Moreover, the product features multiple air cap sizes which makes it capable of spraying different materials. Additionally, it comes with an ergonomic stay-cool handle which makes it very easy to use. Furthermore, it comes with a 400cc gravity feed cup which ensures that you can handle a large painting project without stopping to refill. One of the benefits of this product is that it comes with a metal casing that guarantees its durability. Moreover, its 2-stage turbine motor ensures that it is able to handle thicker paints with ease. Additionally, its fan control knob makes it easy for you to change painting patterns. The innovative fan control knob help saving time with the paint sprayer and is more precise than other nozzle systems on the market. It also enables the user to regulate the concentration of paint on the surface that is being painted. 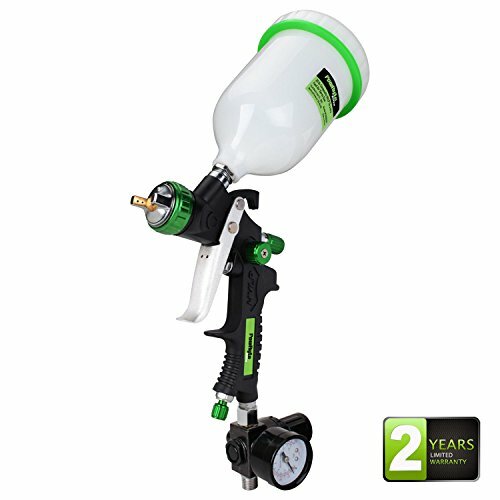 Moreover, the paint sprayer comes with a 25-feet long hose which provides extra space for painting. The hose comes with a plastic isolation protection which guarantees durability. To cap it all, the product comes with a 2-year warranty which makes it a good deal. If you are planning to purchase a turbine sprayer, there are a number of points that you need to have in mind to find the best suitable paint sprayer for your needs. First is that you need a device that is reliable, easy to use, and robust enough to last for many years to come. A number of models have been made from plastic materials to make them lightweight but may not be very durable. Going for cheaper models may also expose you to models that have not been fitted well and may cause frequent blockages and clogging. One of the key features you will have to consider before choosing the best model is the power. Turbine sprayers tend to be less powerful than the airless counterparts. This is because the turbine system requires less energy when compared to the regular paint pump. Therefore, you require sufficient power to drive thicker coatings (such as latex paints) and atomize the finish coatings. The extra power for a turbine sprayer is helpful when best atomization capabilities are required. You should choose a unit whose maximum power is high enough to give you clear coats on cars and furniture. It is therefore important to choose a unit that has a 3-stage motor on the minimum side. The high end paint sprayers under USD 1500 also come with HVLP capability in order to compete with other brands. The next aspect you need to consider before making that decision is the material of spray. You need to clearly know your spraying needs including the materials you expect to handle, and the types of paints and coatings required. This will help you choose a unit that sufficiently meets your needs. A good example is latex paint, which requires more power from your turbine and a larger spray gun. Thinner coatings use less power. Knowing your materials will, therefore, help you to get a unit that has the right thinning capabilities for high-quality finishes. Features such as the nozzle, turbine, hose length, detail finish nozzle, and spray patterns will determine how good the unit works with any given material. The turbine sprayer should help you achieve high precision and nice finishes for your painting tasks. Each unit has its own adjustment settings and these settings are key towards achieving the high quality expected of these sprayers. The best quality will only be achieved if you have the right settings with some tips and techniques of paint spraying for your unit. You need therefore to choose a sprayer whose settings match the coating and the surface of work. Under this aspect, you need to keep a close eye on the spray pattern adjustments available for the given device. The more the precision settings a turbine sprayer has, the more the consistent results it will give. You also need to look at the adjustments for the turbine itself. Settings that will give you precise fit for surfaces and coatings are preferable. The general idea here is that the more the adjustment settings a unit has, the better choice it is. When buying the turbine sprayers, you also have to think about the noise levels. Turbine sprayers can be relatively louder than other paint sprayers and this may inconvenience people with hearing problems. When choosing this sprayer, you, therefore, need to ensure it is not too noisy to affect people around your working area. If you are working in areas close to living quarters, it is important to invest in more quieter models. Some of the units have inbuilt noise reduction features and may be a worthy option to choose. You then have to decide about the cost factor. This aspect involves balancing the amount of money you can afford to invest in a turbine sprayer and the level of performance you expect from the unit. For professional spray painting, acquiring a turbine sprayer may be more about the cost-benefit analysis. For DIYers, it is more about the quality of finish the turbine sprayer achieves. In general, the amount of money invested in a turbine sprayer should guarantee a good quality finish, ability to work with your materials, and the capacity to handle your assignments. Either way, the unit you buy should have enough power to tackle your projects, more adjustments to achieve higher precision finishes, noise reduction capabilities, and a solid construction. It should also have a good gun and more accessories to give you better atomization, controls, and precision. For a long time, cool painting finishes were a reserve of professional painters using expensive equipment. This seems to have changed with the arrival of the turbine sprayers which gives a perfect finish at an affordable price. Unlike the conventional spray guns, the turbine sprayers use large air volumes at relatively low pressures to give a beautiful finish for the given surface. These sprayers overcome the side effects of over spraying because they operate at low pressures. The low pressure ensures that large volume of paint is dispensed to the surface of work. This reduces wastage and minimizes pollution to create a safer living environment. A number of authorities across the world have recommended these devices for auto refinishing works. This is because they are generally safer to work with and environmentally friendly. With the right model for your work, you will be able to take you painting exercise to complete new level.